There is so much more to being queer than what we are not. We have a unique way of experiencing the world and this is a gift to ourselves, the church, and the world. Do you want to dive deeper? Do you want to move past apologetics and into a theology that is life affirming and challenging? So do we. We’re creating courses, resources, retreats, a magazine, and more; all designed to go deeper into queer theology and shift the conversation. Want in? Signup to stay connected and make sure to check out the Daily Affirmation Project. Brian and Fr. Shay met in New York in one of those friend of a friend serendipitious moments. Through a couple years of Skype conversations, text messaging, and personal activism they realized that they could do a lot more if they worked together! Both have been changed and strengthened by their queer identities and wanted to share that strength with others. 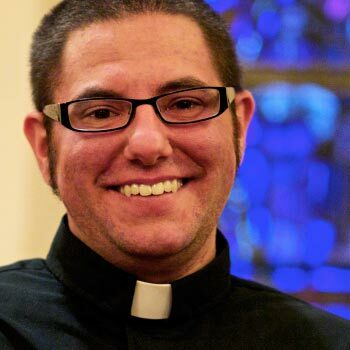 They started queertheology.com in 2013. Father Shannon T.L. Kearns is a seminary graduate (M.Div 2009 from Union Theological Seminary in the city of New York). He is a Priest in the Old Catholic Diocese of New Jersey. Fr. Shay started House of the Transfiguration, an Old Catholic parish in Minneapolis. He is the co-founder and co-director of Camp Osiris, a retreat for folks to come together and talk about the intersections between their sexualities/gender identities and their various spiritualities. The camp is located in Minnesota and welcomes people from all over the country. Brian G. Murphy is a filmmaker, activist, and entrepreneur. He grew up evangelical Christian in the Maryland suburbs of Washington, DC and for the past seven years has been engaged in faith-based activism and social justice work. He participated in the 2007 Soulforce Equality Ride, co-founded Legalize Trans*, and most recently partnered with Fr. Shannon Kearns to create Queer Theology. Brian has a passion for using digital storytelling engage hearts and inspire action. He works with visionary individuals and organizations to develop and share their work through online channels: web, social, email, and video. He has worked with qubo Television Network, GLSEN, Red Letter Christians, The Simple Way, Tony Campolo, and the Evangelical Associate for the Promotion of Education; as well as producing television shows and short films. 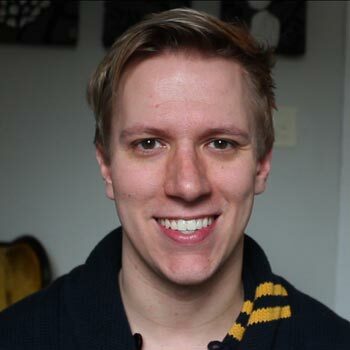 You can connect with Brian on Facebook, Twitter, Instagram, and YouTube.